Widely popularized images of unobtainable and damaging feminine ideals can be a cause of profound disjunction between women and their bodies. A consequence of this dissonance is an embodied performance of these ideals with the potential development of disordered eating practices, such as anorexia nervosa. 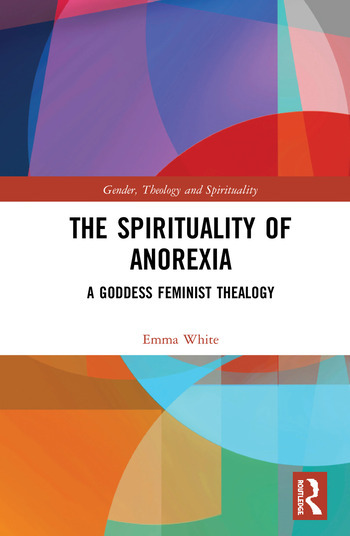 This book develops a spirituality of anorexia by suggesting that these eating disorders are physical symptoms of the general repression of feminine nature in our culture. Furthermore, it puts forward Goddess feminism as a framework for a healing therapeutic model to address anorexia and more broadly, the "slender ideal" touted by society. The book focuses on the female body in contemporary society, specifically the development of anorexia nervosa, and what this expression communicates about female embodiment. Drawing upon the work of a variety of theorists, social commentators, liberation theologians and thealogians, it discusses the benefits of adopting female-focused myths, symbols and rituals, drawing upon the work of Marion Woodman and Naomi Goldenberg. Ultimately, it theorises a thealogical approach to anorexia aimed at displacing the damaging discourses that undermine women in the twenty-first century. Offering an alternative model of spirituality and embodiment for contemporary women, this book will be of keen interest to scholars of theology, religious studies, gender studies and psychology. Emma White holds a PhD from the University of Winchester, UK. Her research focuses on the spirituality of gender and embodiment, particularly regarding eating disorders. Her article titled 'Starved by Society: An Examination of Judith Butler’s Gender Performance and Society’s Slender Ideal' has been published in Feminist Theology.